Before joining the film industry, Dan Crosby spent his entire working life on the water. Whether he was commercial fishing, salvaging and towing logs or driving water taxis, Dan had done it all. In 1972, the Canadian Broadcast Company started filming what was to become an enigmatic long-running television series right in his hometown of Gibsons, BC: The Beachcombers. Given that Dan had done his own fair share of beachcombing, he found himself involved in the marine-focused show. Following The Beachcombers, Dan moved on to other movies and TV shows around Vancouver and soon found his extensive marine knowledge was being requested at film sets across British Columbia. At the same time, Hollywood had begun looking for new parts of the world to film in, and BC soon became a hot spot due to its diverse scenery, proximity to LA and growing talented film crews. Dan founded Crosby Marine Film Services in Gibsons in 1986 to meet this growing need, finding many successes in the company’s initial years. 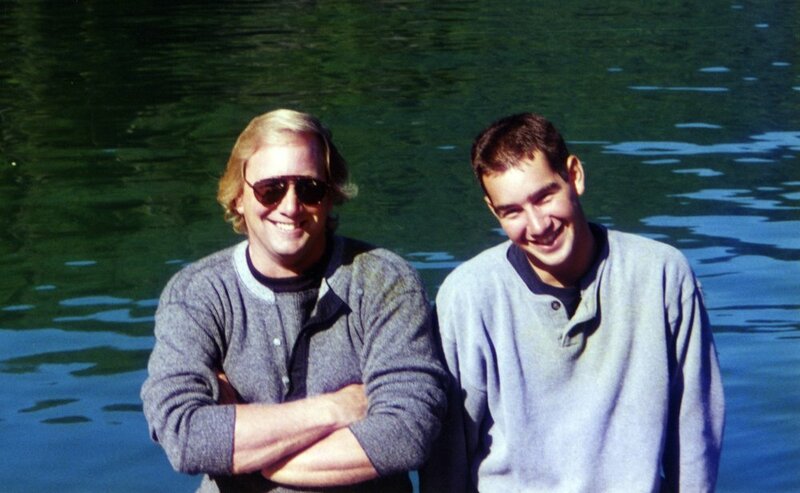 Crosby Marine continued to thrive when Dan’s son, Jason, joined the family business 10 years later, and the father-son duo worked together on a variety of major productions such as Free Willy 3. 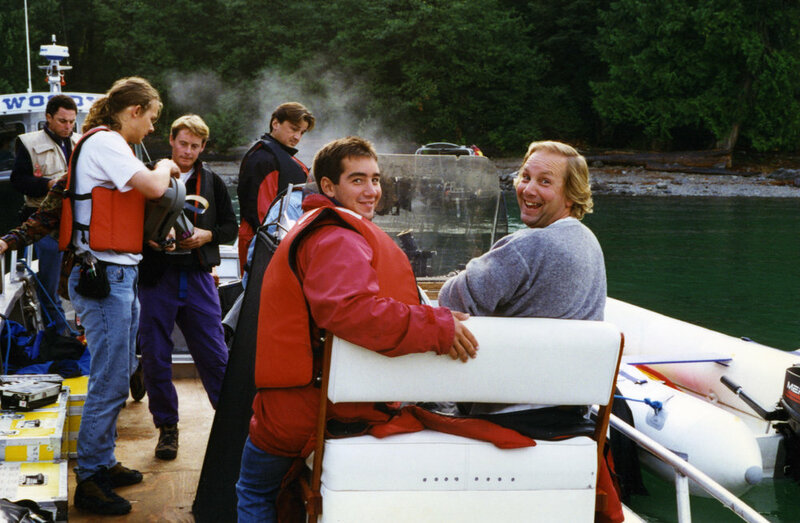 In 2003 Jason became president of the company, taking over the day-to-day operations and relocating it to Vancouver to carry on the family tradition of expertise in boat and water operations for the film industry. Today, Crosby Marine Film Services has been in operation for over 30 years and is widely recognized as a respected, integral component of the Canadian film industry. Crosby Marine has an extensive fleet of custom-designed camera and support boats specifically made for working with film crews, and Jason has added a growing number of talented, experienced and knowledgeable members to the team. Since its inception, Crosby Marine has been involved in nearly a thousand different productions, including feature films, made-for-TV movies, television series, commercials and special events. Visit our Projects page or browse our Image Gallery to view an array of samples that we are proud to be a part of. From prep to post - with you every step of the way. Crosby Marine is continually evolving to meet the varied demands of today’s film industry. With a safety-first approach, decades of practical experience and extensive knowledge of beautiful British Columbia we possess a deep understanding of both the benefits and challenges that come with working on the water-enabling film and television crews to get the shots they need safely and efficiently. Planning starts during the early stages of script read-throughs and never stops until the job is done. Marine filming demands detailed preparation in order for the day to go smoothly and safely, and our high level of organization combined with decades of experience make us the best choice in our field. Every filming day starts with a safety meeting covering all the essential procedures for working in and around the water, and these guidelines are monitored throughout the shoot to ensure cast and crew are always safe. Clear communication lines between film and marine crews are is instilled through our marine coordination team, which strives to be steps ahead at all times. Our crew knows how important it is to quickly and effectively move through shots to ensure the productions time is never wasted all while doing so in a safe manner. To wrap up production, we certify that the marine department account can be closed in a timely fashion. Finalizing all loose ends is as important to us as any stage in the project. We work hard to make sure that the entire production team, including any marine vendors, are well taken care of. Growing up on British Columbia’s beautiful Sunshine Coast, Gibsons has always been home to Jason. Towing boats, fishing and beachcombing were regular activities that instilled in him a love for the water from a young age. He started working with his father in the film industry in 1996 as a part-time gig, eventually following his passion and turning it into a full-time career. Jason enjoys that every film day is unique with its own challenges and triumphs, and is very proud of the tightknit and experienced team that he has assembled at Crosby Marine. 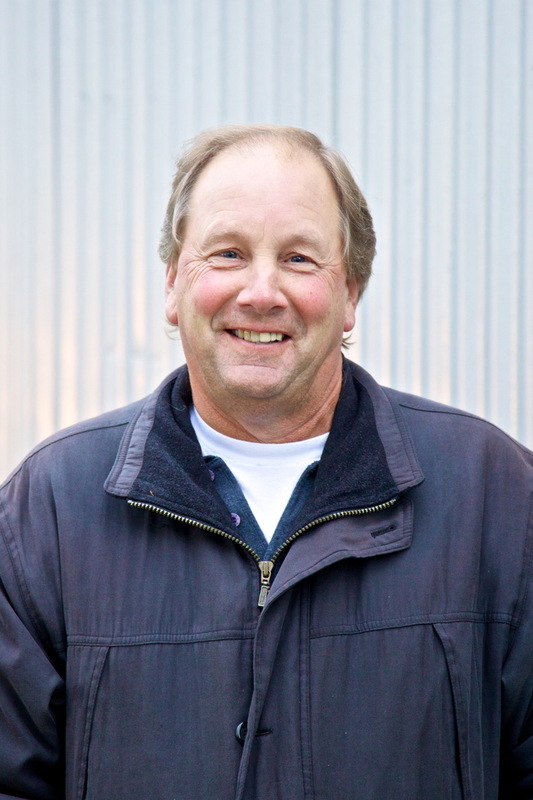 As the founder of Crosby Marine Film Services, Dan grew up working in and around the water. A pioneer of sorts, he has seen it all through the vast range of marine-related jobs he has performed over the years. From Alaska down to Seattle, Dan has worked on film sets up and down the Pacific Northwest coastline and built up knowledge very few others have acquired. He continues to be a role model for the crew and an amazing dad. When he isn’t on set he can be found on his tug and barge providing barge service to the many local islands. Introduced to Crosby Marine initially as a boat hauler moving various vessels between shop and set, Jarod brings a diversified skill set to the team. Between working as a camera boat operator, maintaining our fleet and connecting with local picture boats, Jarod seamlessly bridges the gap between the film industry and marine industry. If you're ever looking for that particular tool to get the job done, chances are he has it in his pocket! Jeff’s film know-how stems from his post-secondary education in film broadcasting, which led to roles with the Vancouver Canucks as a camera operator and eventually into the Grip Department where he met Jason. Jeff’s film background paired with his experience as a commercial diver is what set him apart from others and landed him on the Crosby Marine roster. Always two steps ahead of the game with his finger on the pulse, he is a true asset on set and brings a wealth of knowledge on all things production. Sam first joined the Crosby Marine team as a swift water rescue tech working alongside an oil spill response company. His whitewater framework mixed with his experience as a firefighter gives Sam a unique skill set. Since starting with Crosby Marine he has shown an eagerness to learn and continually take on more tasks, which has seen him quickly move into a management role. Sam’s expertise completes the crew and allows for daily operations to run at an optimal level. 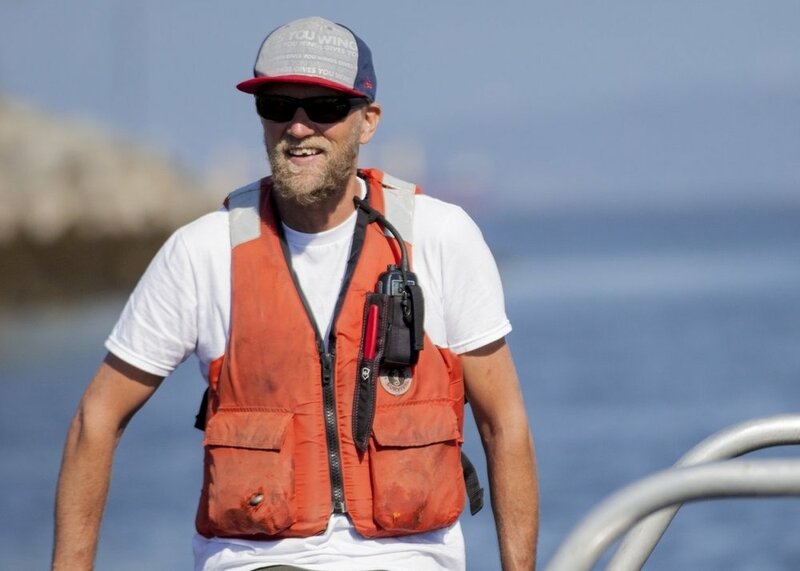 Shawn first came to the team as a boat operator from a local eco-tour company, which allowed him to comfortably segue into the role of lead boat operator at Crosby Marine. As just one of his many layers, Shawn also has a post-secondary education in film and experience working as a DP and camera operator for various productions around Vancouver. At Crosby Marine, he is valued as the in-house tech guru, helping the team with everything from graphic design to web design. Growing up with a family cabin on BC’s Pasley Island, Liam frequented the local waters from a young age. A natural behind the wheel, he's been with Crosby Marine for 10 years. His local know-how, hard-working attitude and ability to pilot any vessel in any condition are just some of the many characteristics that make him a huge asset to our crew. No matter the challenge, Liam has proven time and again he's up to it. With over 33 years of experience as a whitewater raft guide, kayaker and rescuer, it was fitting that Ian would connect with the Crosby Marine team on the set of The Revenant on Alberta's Bow River. His river skills help complement the company’s diverse set of water abilities, and Ian’s keen eye for safety makes him consistently comfortable and reliable on set, whether he is part of a team or working independently. Calm, cool, and collected are some of the many traits that make Devin an asset not only to Crosby Marine but also the Canadian Coast Guard dive team. His ability to problem solve and think on the spot make him incredibly reliable when faced with a difficult task. Devin has been a part of several of our international projects, travelling with the company to Mexico, Turkey, Nashville and beyond! Introduced to Crosby Marine as a marine mechanic, Alex’s intricate mind handles the most complex of situations with ease. Extremely skilled behind the wheel, he works as a camera boat operator and action-packed stunt driver. If you need proof, check out his air time in Far Cry! Hailing from Colombia, Juan brings with him a background in whitewater rafting and an unmatched work ethic. Often dressed in a drysuit, you can find Juan ready to jump into action at the drop of a hat. From towing trailers, building blocks or wrapping up a 16-hour shift, he does it all with an infectious positive attitude. While Jon first began with Crosby Marine in the Grip Department, his commercial dive ticket and enthusiasm in the company eventually led to him taking on a dive coordinating role for a number of years before starting up a portable tank company. Now, Jon provides the local and international film industry with a top-notch tank service called Film Pools. Starting out as a stunt double on set, Braden first inquired about working with Crosby Marine as a safety diver – a role that she excelled in due to her years of experience in the water. 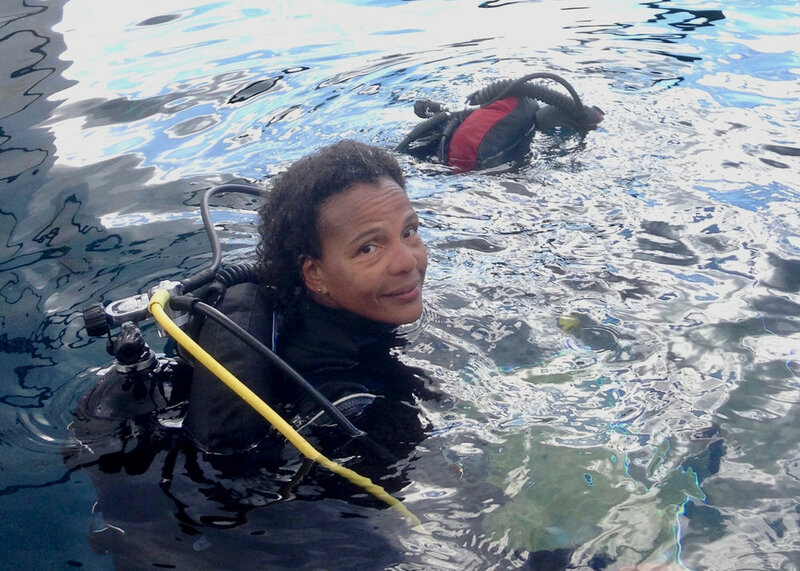 Today, she also works as a highly respected underwater camera operator and dive coordinator, involving everyone on set to guarantee the highest degree of safety. A pleasure to work with above and below water, she consistently ensures that each shoot goes off without a hitch. Barb’s meticulous and thorough work ethic immediately stood out to Crosby Marine when she led the crew in a Transport Canada boating course, and ever since she’s been a vital part of the team. As our Transport Canada guru and a dependable resource, she makes certain that all of our operations are up to code in addition to running customized Safety Management courses for our marine crew. Barb is always our go-to contact when importing foreign flagged vessels, and is a joy to work with.